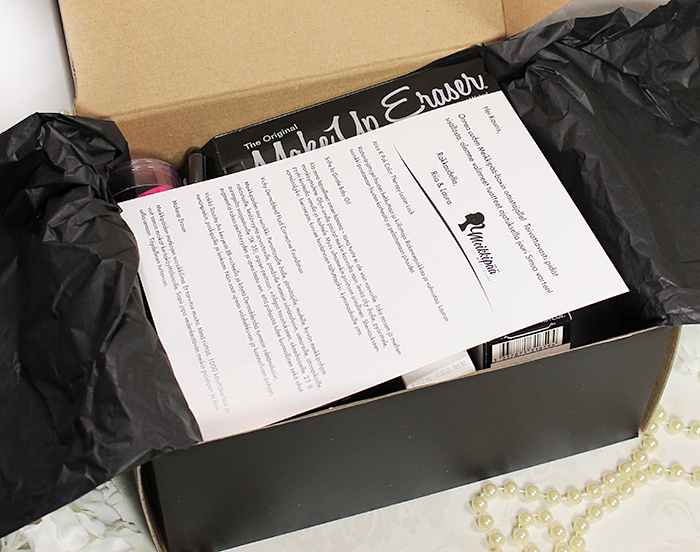 The two ladies that put this box together are makeup and hair professionals with years and years of experience. They wanted to find a collection of products that they love and use themselves and that also work for many different people. The box itself is very pretty. 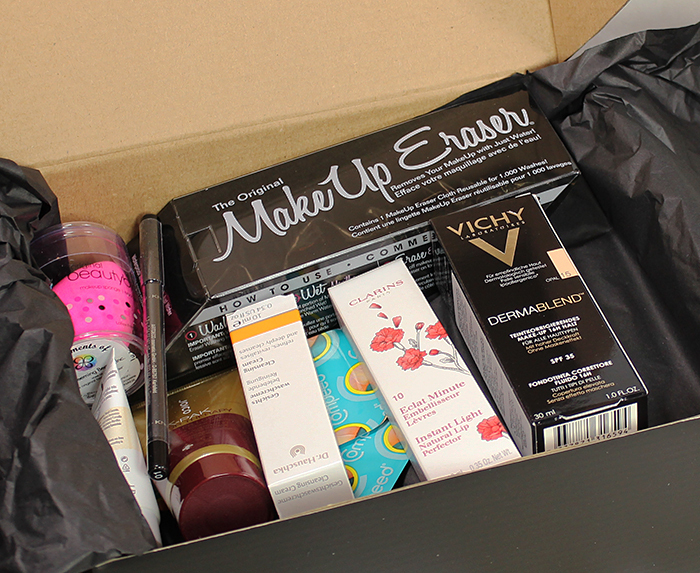 It was also quite big compared to the usual cosmetics subscription boxes and felt really light for the size. Thankfully the weight is insignificant this time. Regardless of the lightness of the box, it was packed nice and full. My first impression was very positive. I could see good quality brands and full size products plus some generous sample sizes. It was clear that the real value of the box was much higher than the price tag. Most of the brands were familiar to me but before this I only owned and had tested Beautyblender and Compeed Blister Cushions. I was very excited to dig in and start testing the products. Next I’ll tell you my own opinions, test results and first impressions of the products. Ok, I have to admit that even if I have read good reviews I was still very skeptical and really didn’t believe this would work well enough. I mean it’s a a wet cloth with only water on it so how could it possible clean all of the makeup from my face? Yeah right…. How is it possible that it takes all the makeup off that well? (I did some reading and I now know how and why it works, kinda, but I’m still convinced it’s mostly magic :D ). The cloth just absorbs everything without making a mess. Your mascara goes into it and there’s no panda eyes. Wow! The warm cloth feels so relaxing and heavenly soft on your skin. I expected this to irritate my sensitive skin, but no rubbing was really needed and my skin felt good after the makeup removal. 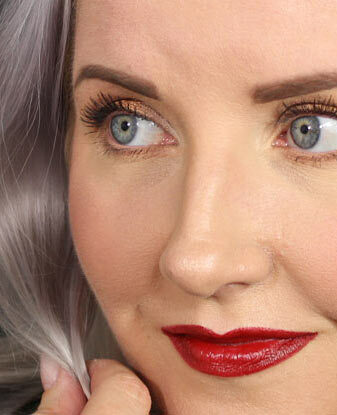 At first I tested this with the Vichy Dermablend foundation. This really well pigmented and good staying power foundation came right off. Then I tried MakeUp Eraser with a full face heavy duty makeup glued on with setting spray. The result? Clean face without much effort or rubbing. Of course I used my Philosophy Purity after this but this did replace the cleaning oil completely. An amazing product that does exactly what is promised. I washed this by hand now but you can also machine wash it (directions in the package). I have also read many good reviews of this foundation and I have been meaning to buy this for a while now. Very highly pigmented, full coverage makeup foundation that applies thinly and didn’t feel tight or dry on my skin. This foundation is on the dry side though so it requires very well moisturized skin to look good. First I tested this with primers and couldn’t get it to work at all. The foundation kinda just sat on top of my skin looking patchy. This was actually such highly pigmented product that I don’t need that much coverage on my whole face, only on my cheeks and chin area. So next time I applied a semi coverage, dewy looking makeup foundation thinly on my whole face. 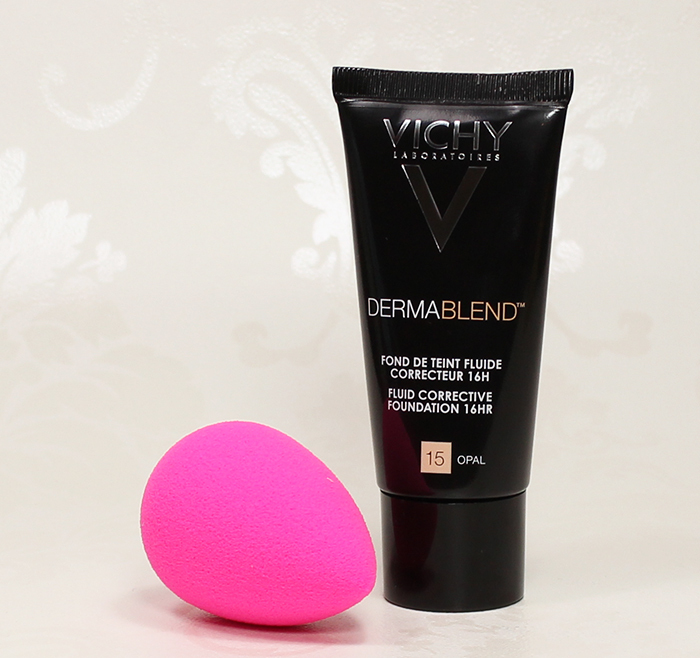 Then I added some Dermablend to the semi coverage foundation and layered that on the red areas using a beautyblender. Dermablend added so much pigment to my lighter weight foundation that I needed to add very little product to cover all the problem areas. I think you could also use this as a concealer on spots etc. Very multi functional product! I got the shade Opal 15 and to me it’s a pretty light neutral shade. Testing it on my hand it looked more yellow toned than it actually was when I applied it on my face. I will definitely use this regularly from now on. There was also a beautyblender in this box and I’m so happy about that cos you can never have too many beautyblenders. Nothing else works as well for me or makes my foundation look as good. Perfect shape and texture! Copies of this makeup sponge never work as well for me. This helps to apply your foundation so thin and smooth. With the damp sponge you can also apply your loose powder, cream blushes and liquid highlighters. You can blend your cream contouring using this. My HG makeup sponge! Yet another product that I have read good reviews of. I’m not the biggest fan of lip glosses so I didn’t think I’d need this. Well, I was wrong. This is not your average super sticky gloss that feels like glue on your lips and your hair gets stuck into. This is just slightly sticky and deliciously vanilla scented moisturizing lip gloss. I wore this the whole day reapplied a few times throughout the day. This replaced my lip balm and doubled as a gloss. That night my lips felt moisturized and not dry at all. The shade I got is 10 Pink Shimmer. To me this is more coral than pink and I don’t see any shimmer either. 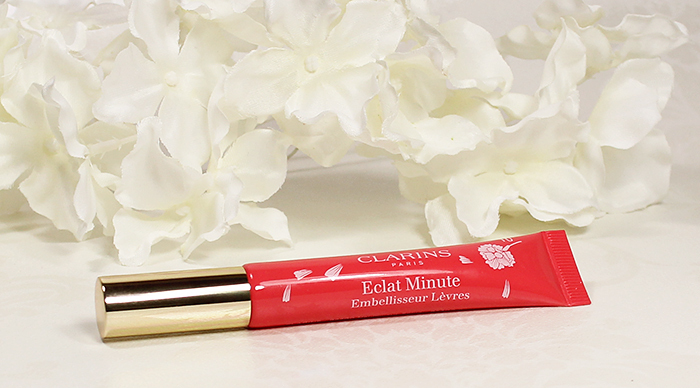 This brings just enough color to your lips to brighten up your look on otherwise makeup free day. With makeup this adds freshness to your look. I didn’t find a lip gloss that I liked for the longest time and now recently I have actually found a few, this being one of them. It could very well be that in a future there will be other shades of this lip gloss in my makeup stash too. There was also a small tube of baby oil in this box. Yes, baby oil. The product info card said you can use this baby oil to gently remove your makeup. You can use it to protect your skin while shaving your legs. It’s good as body oil, to treat dry hair etc. I believe it can do all that and more. My testing it was over as soon as it started though. I applied the oil on top of my hand to test it and it absorbed into my skin almost instantly. Ok … let’s add some more for my whole hands. The oil absorbed into my hands leaving them super soft and smooth. That’s it! No further testing needed. I’m going to use this on my hands and I will buy another bottle as soon as this tube runs out. Made my hands feel amazing! This baby oil is also Natural and organic Cosmetic certified by ECOCERT so you’re just using natural oils on your skin. 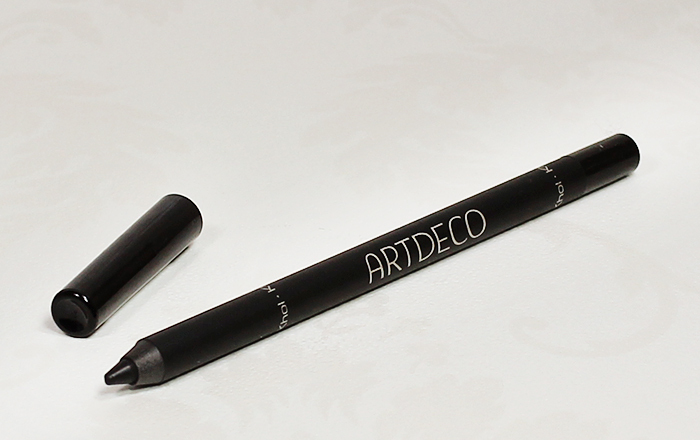 Very soft and highly pigmented khol eyeliner pencil. This stayed put on the waterline on both, lower and upper lid lash line. Application is extremely smooth and you can also blend this for softer look before it dries down. This will make a perfect and long lasting base for your smoky eye. Very good quality! This is the only product I haven’t tested yet. I actually hennaed my hair again yesterday so now I have to wait for a few days before I can wash it again. My hair is in a really good condition from shoulders up and the lengths below the shoulder level are seriously chemically treated. Ton of bleaching, permanent dyes etc. So I think this will be a perfect product to treat the damaged lengths. Joico is a familiar brand to me and I have used their products before. I know K-Pak series is perfect for damaged and chemically treated hair so I have no doubt about the quality of this product either. Well now this was an interesting product to say the least. I expected the tube to have white, you know, cream like product inside and instead what I got was a thick, light brown paste. Thankfully I read the instructions first. If I didn’t read all that I would’ve used this like a face scrub. The gritty-ish texture kind of makes you feel like it’s a scrub. But it’s not. I really don’t know how I feel about this. It’s so different from anything I’ve ever tried. Weird texture and even weirder scent. It did leave my skin feeling good and didn’t feel drying at all. So the first impression is on the positive side but more testing is needed before I can really say how I like this. I get blisters on my feet just by looking at them. So I always have to have Compeed Blister Cushions and Compeed Anti Blister Stick in my purse just in case. I have never tried Corn Cushions but I’ll throw those in my purse too. 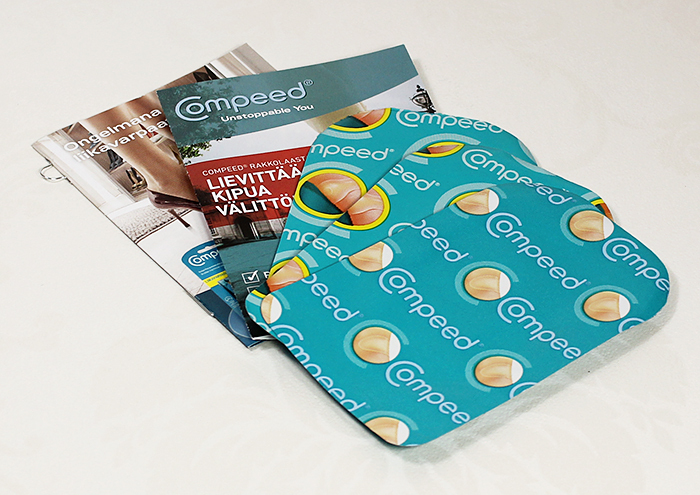 Compeed products really, really work and without them my life would be so much more painful. 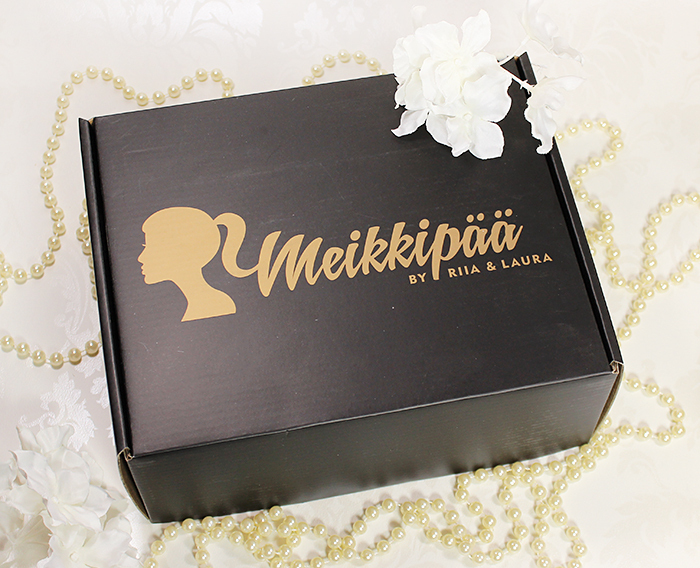 So these were all the products in this Beauty Box X Meikkipäät cosmetics box. All of these I will use and nothing was really feeling like “Meh, I don’t think I’ll use this”. I will keep an open mind when it comes to Dr. Hauschka Cleansing Cream and keep using it. Your opinions about this box? You use any of these products? WOW!! That’s an amazing box!!! 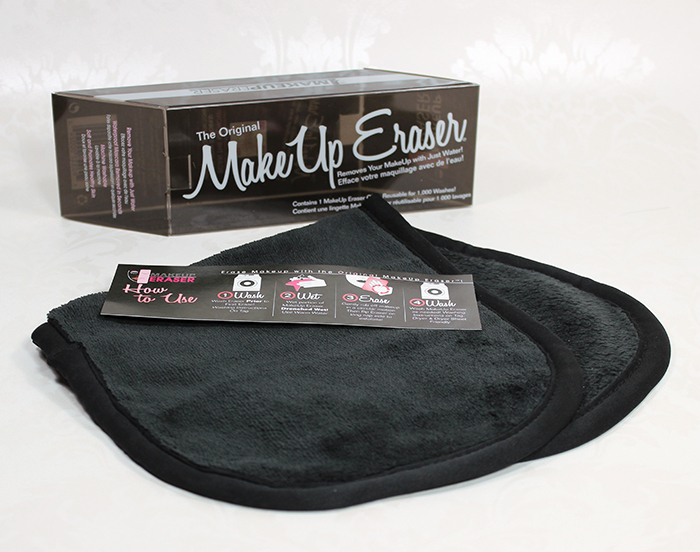 I never believed the Makeup Eraser would work until I got one in a PopSugar box. I LOVE that Joico hair conditioner!!! 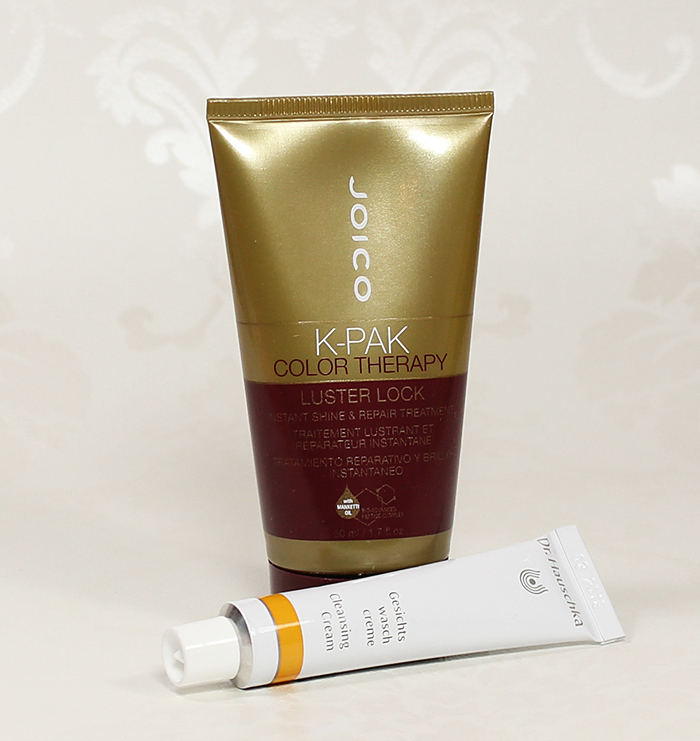 I think I’m going to give that Joico conditioner a try today. Henna always makes my hair feel a bit dry so this is a perfect time to test it. Oh man, this box was LOADED with amazing goodies! I really need to look into this box! This is a great box! 49€ would be a great price in Italy, too. I think the Beauty Blender and Dermablend alone would make that price, and everything else would be extra/free! I have both the Make-Up Eraser and Beauty Blender! I LOVE them lol.